Tia Ferguson, a pharmacy major, now stands as President of the powerful Students Union at the University of Technology Jamaica. 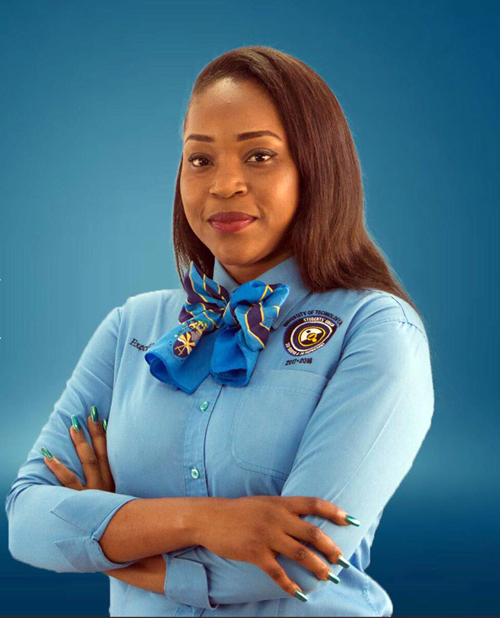 The 23-year-old political aspirant, who hails from Paradise, Montego Bay received her first taste of the rigours of electioneering when she threw her hat in the ring to become president, an experience she now describes as very challenging and time consuming as she was pitted to do battle with two tough male contenders. “It was more challenging than I thought. I was the lone female candidate and it was really rough because it took so much. I was the executive secretary for the Student Union last year, Deputy President for one of the clubs at UTECH last year and Public Relations Officer for the Pharmacy Association, but they never prepared me for anything like this – the election took everything that I had so now I know what they mean when they said nothing in life that you want comes for free,” Ferguson asserts. So, the dust has settled and Ferguson is ready to begin the work. She is supported on the executive by Kahlil Ferguson- 1st Vice President, Academic affairs, Jevon Reid –Vice President –Finance, and Nicholas Gordon – Vice President, Student Affairs and Jameek Burrell – Executive Secretary. “It is an advocacy role, UTECH has 13,000 plus students and as Head of that body – I have to articulate the concerns, all the issues of the students. I basically manage all the portfolios – I ensure that the union has a face so I work closely with the Public Relations Officer. I work closely with student services – so we look at the financial needs of students and we try to address them through aid, scholarships, bursaries, lunches, whatever it is that the students are in need of, we take an avid interest in and do our best to address it”. The UTECH student Union President said she is not a stranger to hardship as she grew up in a home, with parents Sandra Bloomfield and Colin Ferguson, who were not rich and still are not. Graduate of the Glendevon Primary and Junior High, Irwin High School and Herbert Morrison High Sixth form Tia says she loves giving back and it was one of the principal factors which influenced her decision to become a pharmacist. At the end of her tenure, Tia would like to be remembered by students and the administration of UTECH “as a woman who kept her word- Manifesto. I want the Students’ Union to start operating as a business and to increase the vital services on campus. I would like to improve the safety of students. Some measures in this regard I have already started. To be the female president who worked who advocated for them tirelessly to ensure that their needs and wants were met.